October 18th: Historical Mysteries with a Pro! 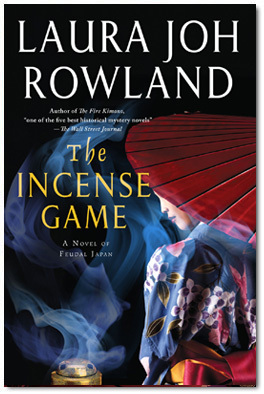 Chapter member Laura Joh Rowland is the author of a very popular series of historical mysteries (16 titles to date!) with her samurai-sleuth Sano Ichiro, not to mention a completely different series about the secret adventures of Charlotte Bronte. She’ll tell us more about her experiences with the market for historicals and how she uses research to add richness of detail without bogging down the story. As usual, we’re meeting at the Muhlenberg Public Library in Manhattan, 209 W. 23rd Street, near 7th Ave.
We begin our meet-and-greet at 6pm, with chapter business and programs beginning by 6:30. Concluding at 7:45pm, members who wish, and often our guests, adjourn for dinner together at a nearby restaurant. This meeting’s free, open to the public, and we cordially invite guests to attend! Look forward to seeing you all in the past! This entry was posted on October 12, 2012 by nysinc. It was filed under Events .